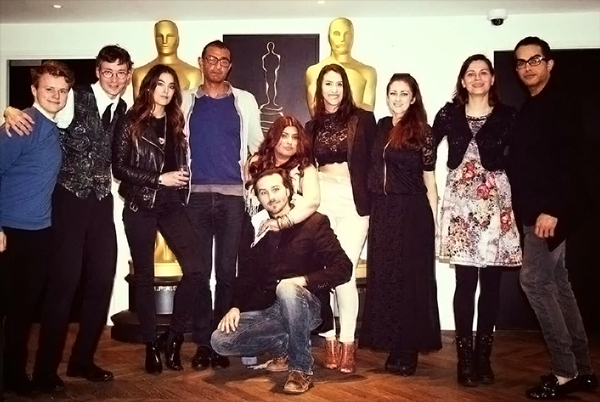 On the 24th March, the first ever screening for the short film was shown to cast, crew & selected industry individuals. The venue for the wonderful night, the BFI screening room in central London. It was great! 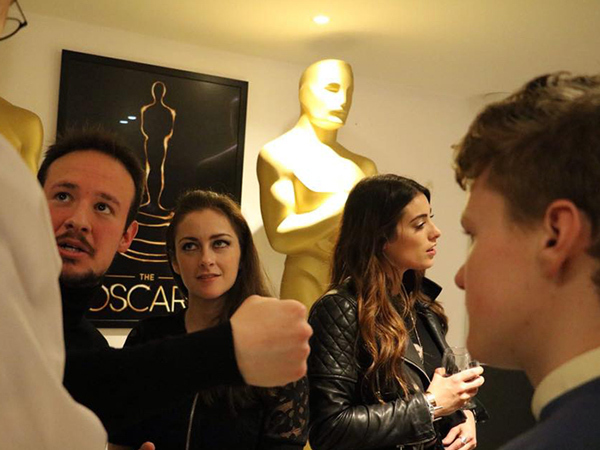 Intimate but large with 3 screenings of the film which went down a treat. Here is a group excluding our CD (he likes to stay behind the camera). Actors speaking post screening and look! Oscars in the background... Mistake I think not. 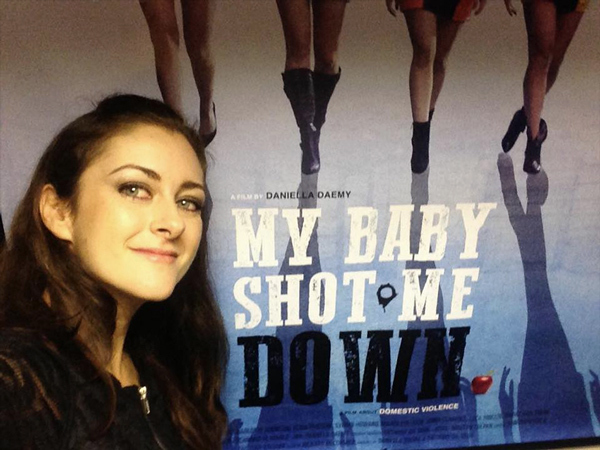 Actor Anna Clarence posing by our poster design. 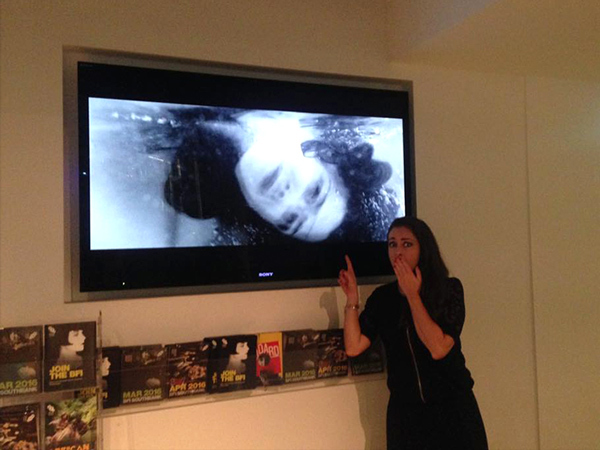 Actor Anna Clarence by the trailer in the lobby.
) and Miss Pink (Anna Clarence).